1pm-PT, 4pm-ET, 9pm-London. 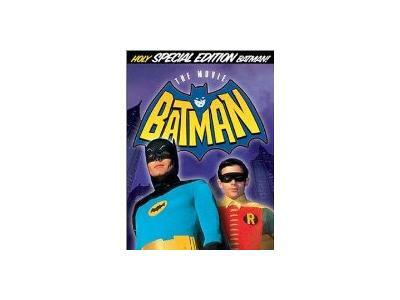 Burt Ward played one of the most likeable characters on television, Robin the Boy Wonder in Batman. In addition to acting and producing, Burt has dedicated himself to rescuing Gentle Giants, which is the name of his rescue sanctuary for big dogs in Norco California. http://www.gentlegiantsrescue.com. A consummate businessman, Burt is seen as a super hero in many areas of life. He learned how to speed read, and was tested at the American Medical Society in Beverly Hills. His highest speed was 30,000 words per minute with a 90% comprehension rate, and he appeared on the national reading show, "Read Right". Burt will sign pictures of himself as Robin, and fans will get to sit in the original car from the Batman and Robin series and have their pictures taken with ward FREE. All fans have to do is purchase a bag of Burt's dog food GENTLE GIANTS which may double the life of your dog. 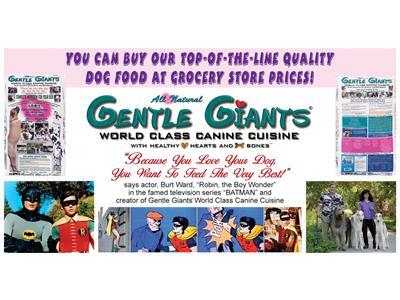 Sales of Gentle Giants Cuisine, go to benefit Gentle Giants Rescue, a non-profit.